This is a hand drawn logo. 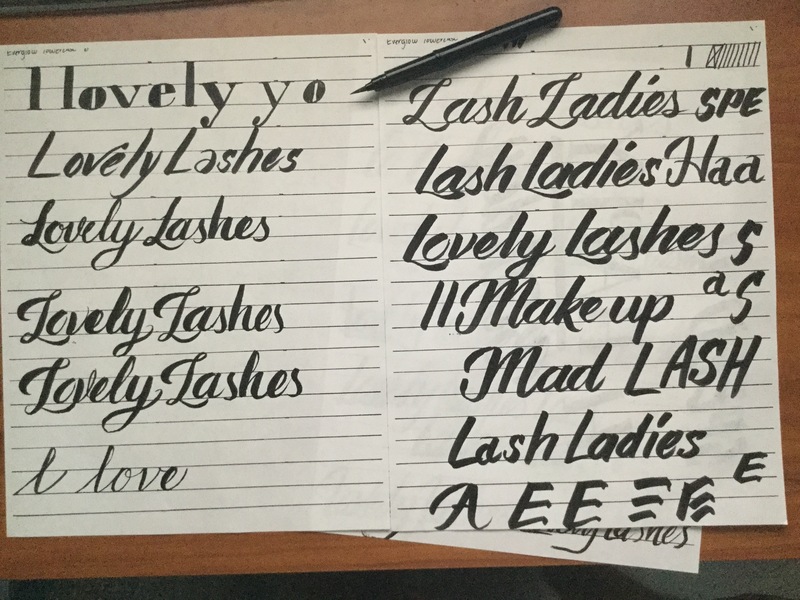 “Lovely Lashes” was created using a brush pen (not a typeface or font) and then finished in Adobe Illustrator. The “by Jane Doe” can be customized to fit your name. The colors can be customized as well. Currently the colors are Younique’s official colors as the logo was created for Younique presenters. This logo package comes with a full color, black, and white version. Also included are TIFF, PNG, AI, and GIF file formats so the logo can be used in print and web. The TIFF and AI files are in vector format, which means that it can be resized to any size (large or small) without losing or compromising the quality of the image.